Low back pain misdiagnosis is a major problem that dooms many patients to unsatisfying treatment and failed surgery each year. We are known for propagating the truth of the epidemic issue of mistaken diagnosis throughout the dorsalgia industry and we can say for sure that this catastrophic occurrence occurs most commonly in the lumbar spinal region. Patients are mostly clueless to the fact that the vast majority of structural “problems” in the lumbar spine are completely innocent of creating any type of pain. These conditions are not pathological and are only implicated in causing pain to generate a tremendous amount of income for care providers who are mostly living in a long-gone era of healthcare where all abnormal structural observances were deemed to be the only possible explanations for low back pain. This Cartesian philosophy of pain generation has been proven to be completely incorrect and illogical, but patients have not been told the truth, since it would cost established medical specialties billions upon billions of dollars yearly. 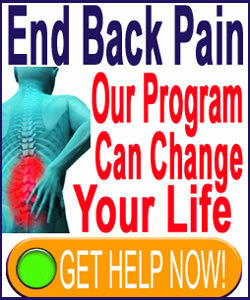 If you are a back pain patient who has not been able to find a lasting cure or even substantial relief for your lumbar symptoms (regardless of what diagnosis you have been given), then this article is made just for you. Additionally, if you have just been diagnosed and are already wondering if the verdict is correct, then this article might prevent you from making the mistakes of millions of other patients. We hope that the facts of this absolutely crucial essay help to put you on the right path towards enlightened treatment by making you consider the most logical reason for therapies to fail: inaccurate and incorrect diagnosis. What Exactly is Low Back Pain Misdiagnosis? When we are talking about misdiagnosis, we are virtually never saying that a structural condition does not exist in the spine. 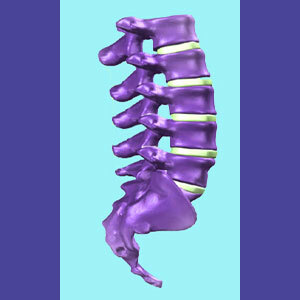 Imaging technology makes it abundantly clear that structural irregularities abound in the human vertebral column. In fact, most “abnormalities” are now considered virtually normal for adults past a certain age. Instead, what we are saying is that the structural irregularity is not the actual cause of pain. It is just incidentally present, but not causative. This is the type of misdiagnosis we observe daily in the dorsopathy sector of medicine. We can illustrate the point with a very common example: A patient complains of lower back pain and goes to the doctor. An MRI is performed and the results show a bulging disc at L5/S1 (virtually universally experienced in adults at some point, by the way). Although there is no indication that this disc is pinching a nerve or creating central stenosis, there is simply no other structural evidence presented, so the diagnostician subjectively chooses to implicate the disc. The patient is told: “You have a herniated disc in your lower back and that is the cause of your pain”. In 95 out of 100 cases, this verdict will be incorrect, since no form of pathology has been established. This is the variety of misdiagnosis that frightens us to our core. This is medical practice that embodies the opposite of evidence-based science. It is subjective, speculative, unenlightened and incorrect. Regardless of what lower back pain diagnosis is rendered, it will put the patient on a particular path towards treatment. If the diagnosis is correct and the patient seeks care from a quality provider, then the therapies used stand a good chance of achieving their goal. This objective might be to provide pain relief or to enact a lasting cure. However, in the case of misdiagnosis, the path which the patient is put upon is not correct. The treatments they will receive are focused on a condition that is not the actual source of pain. Results will be disappointing and treatment after treatment will fail in turn. Since the medical system generally believes in escalation of care, most of these patients will undergo eventual surgery for their “unresponsive” condition and that too will prove fruitless. Patients will be very frustrated by this process and will complaint vocally about the ineffectiveness of their treatment and the gross incompetence of their doctors. They will try different therapies and consult with many physicians, all trying to cure their diagnosed condition. The thought that their original diagnosis is wrong never occurs to these people. They hold on to the diagnosis as if it were an objective fact of life, written in stone like some holy commandment. Of course, from an objective viewpoint, we can easily see why therapies fail in these circumstances. They are not directed at the proper cause of pain. It is that simple. The lesson here is that diagnosis sets the tone for the entire therapeutic process and if the diagnostic verdict is not sound, then treatment will not be indicated or successful. We witness this entire dreadful process affecting millions of patients worldwide each year. We name misdiagnosis to be the single greatest impediment toward recovery that any dorsalgia patient must face. It is really that widespread of a problem. First, many doctors were trained during a time when the Cartesian philosophy was the only philosophy. New technologies made it possible to observe the interior of the body in vivid detail and doctors became structurally-obsessed. This limited mindset flies in the face of the universally-embraced medical idea that all doctors learn during their educational process: “Atypical anatomical structure does not accurately predict pain”. Next, many doctors have become business people more than healers. Medicine is a business now more than ever before. With the popularity of complementary healthcare, all types of caregivers are fiercely competitive to gain and keep clients. This competition forces many doctors to become ruthless in their desire to earn, regardless of the cost to a patient, and in this statement, we are not referring to financial cost… No, the cost is the patient’s overall health, as they are subjected to drugs, injections and surgery and none of these treatments are even medically necessary. Financial motivations can cause doctors to behave like monsters and do unconscionable things all to acquire ever-more money. Finally, there has long been a movement in the mindbody medical industry to provide alternative explanations for pain based on solid research science in the psychoemotional realm. However, in order to treat these conditions, physicians would have to go back to school and re-learn most of what they (poorly) understand about psychology. Furthermore, the practices taught in mindbody medicine contradict both ideas 1 and 2 above, allowing the patient to treat their own pain (costing doctors billions of profit), since most cases are not structurally-based (infuriating Cartesian purists who value money more than human life).